The usage statistics are in for year 2010. We are delighted to have served more visitors in 2010 than any other Jan-Dec year, since tracking began in July 2004. From Jan-Dec 2010, more than 10,600 visitors shared in the research we have presented on Greathouse Point. By visiting libraries and courthouses in Greathouse counties and obtaining copies or extracts of records which our Greathouse or associated ancestors left behind, we can more accurately build our Greathouse family history. We are focusing on original documents which were created at or near the time of events which occurred in the lives of our ancestors, to build a firmer foundation for all our Greathouse or associated ancestors, particularly those of the 1700's or early 1800's. If you have copies of marriages, wills or other documents in your files, please share those also, by emailing a copy to: Research@Greathouse.us. Y-DNA results for the 33rd participant were posted on the results page in our Greathouse Y-DNA project. The participant descends through Samuel Greathouse, m. Susan Greathouse. The participant's results support that Samuel Greathouse would have been a member of Haplogroup R1B, generally from western Europe. Y-DNA results for another participant, which are representative of John Greathouse, father of Susan Greathouse, support that John Greathouse would have been a member of Haplogroup I1. Greathouse males of Haplogroup I1 cannot share a common ancestor with Greathouse males of Haplogroup R1B. Greathouse Point just celebrated another birthday... as of 4 Jun 1998, our group's website, Greathouse Point, has been serving "Greathouse Cousins", whether new or veteran researchers, for over twelve (12) years. We welcome all researchers, new and veteran, interested in Greathouse research as we continue our journey. 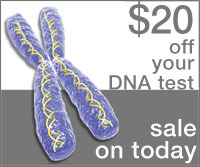 DNA Heritage announced reduced DNA testing for a limited time. Their 43 marker test @ $149 has been reduced by $20, so now you can obtain 43 markers @ $129, for a limited time. Sale has expired. Added focus group for our I1 group and the additional reports linked in the focus group. Baseline Haplotype Established For Herman Groethausen, b. 1670. Usage statistics for Jan-Dec 2009, which show that usage of Greathouse Point by visitors surpassed all previous years, have been posted in the 2009 News and Updates.